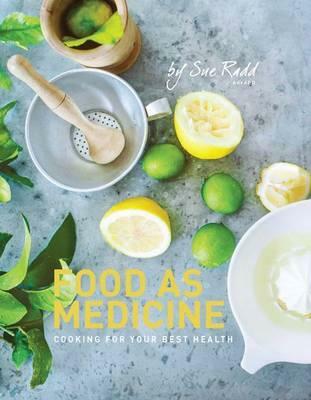 Written by fellow Sydney-based dietitian Sue Radd, this beautiful cookbook offers 150 delicious plant-based recipes designed to optimise your health and reduce disease risk. Sue runs popular monthly ‘Cookshops’ in her practice at Castle Hill and many NND clients have enjoyed attending these. She has incorporated her favourite recipes from these classes into her new book, making them available to anyone looking to build more healthy plant-based meals into their diet. At almost 400 pages, this book is packed not only with recipes but also plenty of information on the role of diet in reducing disease risk, setting up your pantry, food storage and cookware, kitchen equipment and shopping tips. For those who like more structure Sue outlines her top ten ‘food rules to live by’ and provides four seasonal menu plans. Spiced Celeriac Wedges, Roasted Vegetable Salad with Creamy Orange Tahini Dressing, Black Bean Burgers with Fresh Salsa, Walnut & Mushroom Meatballs in Tomato Sauce and Freekeh with Aromatic Spices & Pine Nuts are just a few of the tasty-sounding recipes on offer. Those with a sweet tooth might like to try the Smooth Vanilla Bean Tofu Cheesecake and Chocolate Brownies with Walnuts (made from black beans). All recipes are entirely plant-based. There are sections for Salads & Vegie Sides; Wholegrains & Healthy Carb Sides; Lighter Plates; Main Plates; Soups; Dips, Spreads and Pastes; Sweet Endings; Snacks, Nibbles & Sweet Morsels; and Drinks. If you’re looking for some inspiration for incorporating more plant-foods into your diet, this book is well worth adding to your Christmas wish list! Available in all good bookstores or online at Booktopia. The interactive website has tips and tools to help you set goals and plan the steps you will take to achieve them, as well as keep track of your achievements. 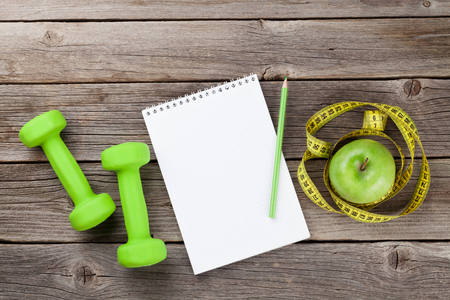 If you register, the Healthy Weight Guide website will store and track your progress online. The website includes information on setting realistic and achievable weight goals and has a handy goal setting form you can download. There’s plenty of information on getting active and eating well, along with handy meal and physical activity planners. The website also includes tips on monitoring your progress and overcoming challenges. This is a great resource to help you in achieving your weight loss goals. The authors, an Australian dietitian and exercise physiologist, explain that the best way to approach weight loss is to forget being perfect and just focus on being good enough. 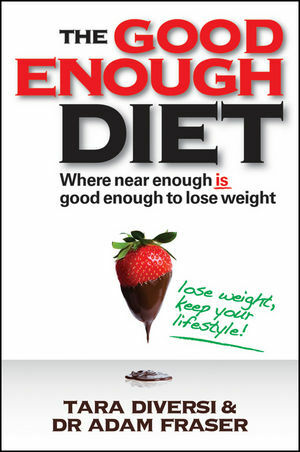 Rather than an ‘all or nothing’ approach the authors recommend aiming for something in between, which they say is good enough to help you lose weight. The problem with trying to be perfect is that we can end up feeling like we have failed when perfect becomes impossible to achieve (and it usually is!). So rather than focusing on getting everything right, Tara and Adam help you to work out the things that will give you the maximum results for your efforts. The book includes sections on eating, exercise, mindset and mythbusting and also has some great practical information for managing your eating and exercise when you work long hours or travel frequently. There are also plenty of examples of how others have succeeded at improving their lifestyle and losing weight using the ‘good enough’ approach.